This message has been deleted by CassandraGoth. 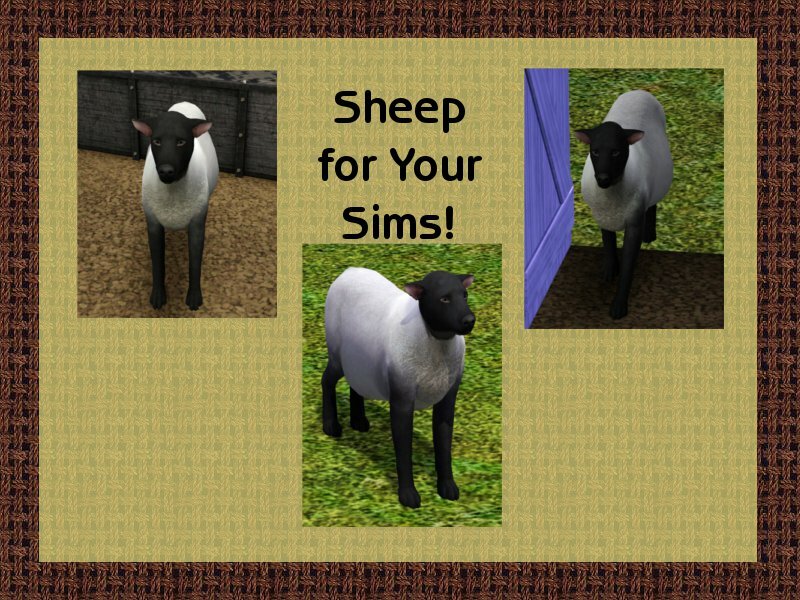 This is fraking great - sheep are my favorite animals!! I can't wait to get this badboy in game! This message has been deleted by zelda potter. Not sure if you're still around, but I can't seem to find this guy in my game. I use lots of CC and mods so I know it's in the right spot I just can't find where to create this little guy. I've looked in the pets bin in CAS and looked for him as a specific breed and can't find it. Could anyone help me? I've installed another one (meant to look like a pig) but I can't find that either and I know I've installed them correctly. Thanks in advance. It is, I even took it out and put it back in. Could it be because the file is a .7z instead of a .sim? All the other files in there are a .sim except this one. This is genius. Thank you for sharing the "sort of.." sheep. I've played around with trying to make a cow, but it would only be a calf, if I could even manage that. May keep playing around and see what I can come up with. Have tried a little to make a pig too. For a cow you could use the horse. (that way he can graze) Awesome download! Love it! I'm making harvest moon characters too and this is just great. This is awesome. I've been looking for more animals. I'd love to see a pig! There is one out there and it is totally correct using additional sliders but no one has been able to add hooves yet. Again, many thanks for this little beauty. She's headed for the farm! A wolf in sheep's clothing! wow this is awesome! good idea! Tried this in my game for my petting zoo. It works just fine. Their offspring came out just like them. Love it.